Bad Credit – This is by far the most common reason for a denial; however, there are merchant service providers out there like Charge.com that work with high risk applicants. New Companies – A brand new company newly formed is a much higher risk than an established company looking to change providers. Expected Transaction Volume – If you apply for a merchant account and indicate you need a high level of processing volume, your chances for obtaining a merchant account will greatly diminish. The more volume you do, the more likely you will face many chargebacks and the more risk you will pose to the merchant services provider. Only apply for processing volume based on your expected volume, be conservative, and only ask for the minimum you need. If your volume picks up, you can always apply for more volume later. Build trust with your merchant services provider and you will eventually get to the point where you can have unlimited processing volume. Average Ticket Size – On the typical application, the merchant services provider will want to know what your average ticket size will be. If you indicate an extremely high average ticket price, the chances of approval will be greatly diminished. The larger transaction size means the higher cost if there is a chargeback and more risk the bank and merchant service provider must take. Expected Transaction Volume – If you apply for a merchant account and indicate you need a high level of processing volume, your chances for obtaining a merchant account will greatly diminish. The more volume you do, the more likely you will obtain chargebacks and the more risk you pose to the merchant services provider. Only apply for processing volume based on your expected volume, be conservative, and only ask for the minimum you need. If your volume picks up, you can always apply for more volume later. Build trust with your merchant services provider and you can eventually get to the point where you can have virtually unlimited processing volume. If you recently got denied a merchant account, call Charge.com today to speak to one of our merchant service account representatives who specialize in “high risk” merchant accounts, today. You can also get started by filling out the form to the right. 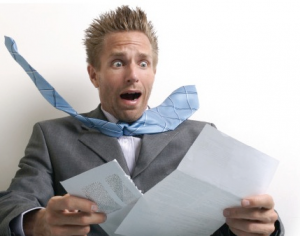 Article Name: Merchant Account Denied? We can help! Description: Did your merchant account application get denied? If so, don't worry, this article covers many of the common reasons merchants get denied! Charge.com will work with you when others wont!